Courtesy of LONG & FOSTER - GLENMORE. The perfect home for outdoor living! All brick home on cul-de-sac with large flat back yard & woods surrounding the property. Located in the Heart of Glenmore and convenient to Club amenities, walking paths, bike trails and the sports field. Enjoy breathtaking winter mountain views of Monticello! Unique outside features include an enormous screen porch, front brick walkway, aggregate golf cart wide path leading to terrace level storage & a lawn irrigation system. The incredible interior storage area includes an expanded 3 car garage, 2 large walk-in attic areas, unfinished terrace level space & spacious closets. More highlighted extras: 20KW generator, hot water circulatory system, basement mini-kitchen and a 1st floor master suite. Directions: From Martha Jefferson Hospital-East on 250 for 3 miles, right turn into Glenmore at stoplight. Pass Glenmore Gatehouse & Glenmore Country Club Clubhouse. Next left onto Melrose Ln, Left on Piper Way, Left on Heathcote Ln, House on right at cut-de-sac. 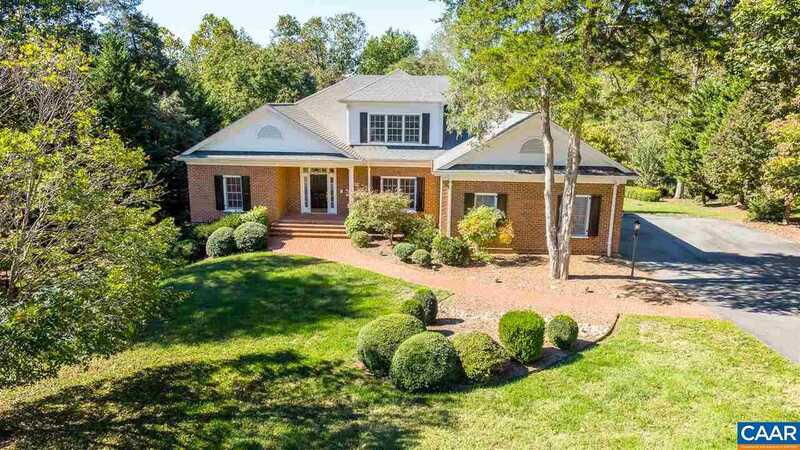 Please, send me more information on this property: MLS# 570368 – $719,000 – 3220 Heathcote Ln, Keswick, VA 22947.